First, there was Dogfish Head. Craft pioneer Sam Calagione opened his revolutionary Delaware brewpub back in 1995, years before the average beer drinker had ever heard of an IPA, let alone a fruit IPA. Calagione, ever the risk taker, didn't think twice about introducing the world to the bitter wonders of hoppy beer (spoiler alert: it was a huge hit). And nine years later, he upped the ante by dropping apricot juice into a spring seasonal IPA already loaded with citrusy, floral Amarillo hops. 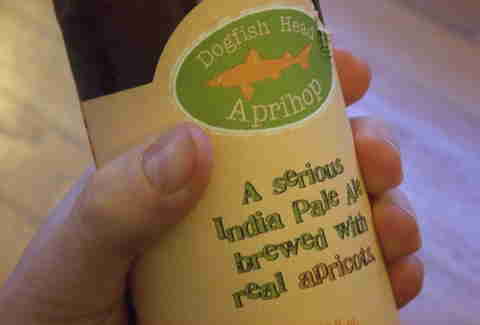 He called the beer Aprihop, marketed as a fruit IPA. And lo, a new beer style was born. Fast-forward to 2016 and beer aisles coast to coast are increasingly littered with the juicy IPAs as breweries both big and small line up to throw their hats in the ring. But how exactly did we get here? To get a handle on this fruity phenomenon, we consulted Brooklyn-based journalist Joshua M. Bernstein, author of Complete IPA and certified professional beer drinker. "Look at the flavor and aroma descriptors of many new-wave hops: oranges and grapefruit, papaya and peaches, tangerines and lychee. By doctoring IPAs with honest-to-goodness produce, brewers can crank up the inherent fruity characteristics, flavors, and fragrances that people already love, amped up to 11," says Bernstein, noting that the style can also act as a welcome mat for those less familiar with craft beer's particularities. "I also think that fruited IPAs can help folks understand the liquid awaiting inside the can or bottle. 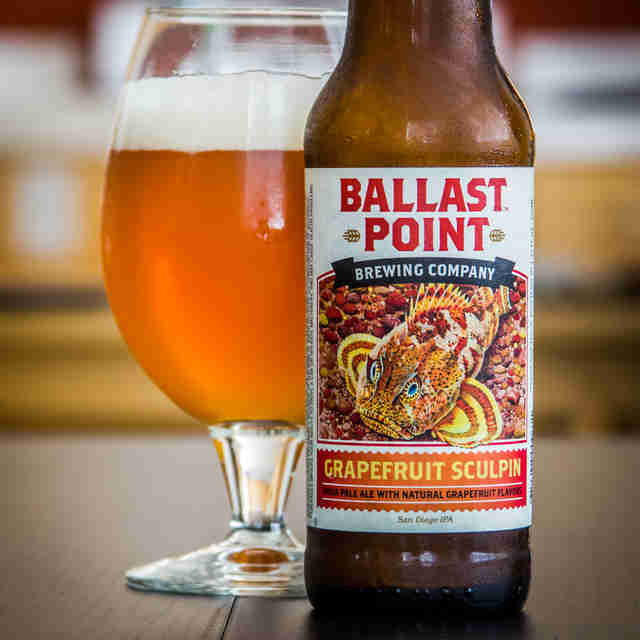 Not every drinker understands the difference between Citra and Cascade hops, but slapping 'grapefruit' or 'orange' on a label can be a safeguard against uncertainty." The 8 American-Born Beer Styles. You're Welcome, World. That's not to say everybody's hopping aboard the fruity express. Plenty of craft beer fanatics bemoan it, calling the craze an eye-rolling passing trend or a bastardization of a once-great style. This anti-fruit IPA brigade views incorporating juice, rind, extract, or synthetic flavors into the brewing process as a frivolous attempt to distract drinkers from brewing imperfections or a way to cheat people into snatching up an otherwise subpar beer. These guys aren't without a point. 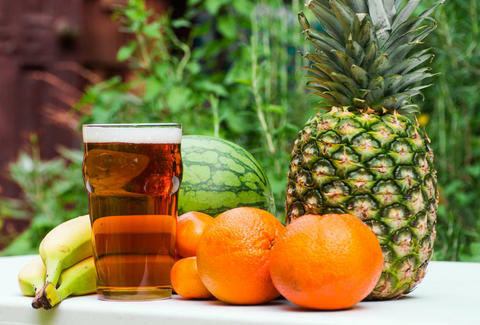 As with any trend, fruit IPAs have definitely attracted their share of bandwagon brewers eager to push out a juice-ified beer without much regard for its quality. So, obviously, fruit beers are a thing, but it's also clear that not every fruit IPA is worth your hard-earned five spot. On that note, here are a few widely available, geek-approved joints to try. The classic. 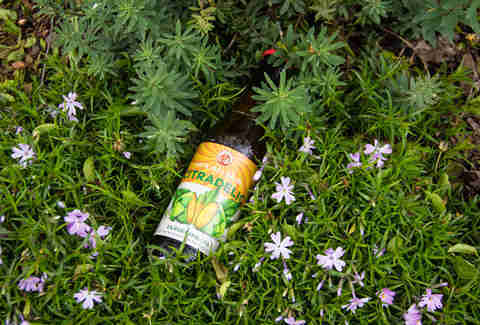 Dogfish Head's seasonal favorite pairs real apricot juice with bright, orange-scented Amarillo hops for a smooth, thirst-quenching, and particularly spring-like combination. Vermont's most obsessed-about brewery is behind this jammy, explosively citric IPA loaded with tropical hops, infused with real grapefruit, and guaranteed to convert the fruit-weary -- if they manage to cop a bottle, of course. Like we said, the stuff's got a cult. OK, OK, these guys obviously have the market cornered -- but that's because they're damn good at what they do! 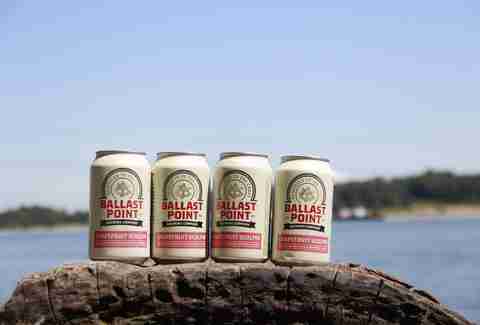 Bernstein calls the West Coast craft powerhouse's first fruity release, the Grapefruit Sculpin, "a crushable shandy clad dolled up with tropical IPA DNA." Fresh, sweet, and slightly tart pineapple juice sets BP's year-old Pineapple IPA iteration apart from its more citrusy brethren, while the Watermelon Dorado double IPA is a big ol' 10% ABV brew, dry-hopped to oblivion and then balanced out by a heavy hand of sweet, grassy watermelon. These can-crazy Coloradans are knocking the socks off citrus devotees by dry-hopping their classic Modus Hoperandi formula with tangerine-centric, relatively obscure Mandarina Bavaria hops before injecting the bubbling brew with real orange peels. The result is as unique as it is delicious, and tastes about as fresh-squeezed as it gets. "This tangerine-tinged IPA is citrusy and suitably island breezy without walloping taste buds with fruit," notes Bernstein, and we're apt to agree. The Colorado-born brew is late-summer sipping at its finest. The nautically themed Maryland brewery's first attempt at a fruit IPA is nothing short of ambitious, brewed with grapefruit, orange, and lemon peel and fermented with mango, blood orange, and an extra shot of grapefruit. It's basically like a fruit basket in a can. When the hopheads behind this SoCal operation added tart and tangy tangerine to their crowd-pleasing Soul Style IPA, they created a well-balanced, tropical monster that drinks like a year-round summer vacation. "Forget the mimosa," advises Bernstein. "You'll want to drink this zesty refresher for brunch." Consider that glorified screwdriver forgotten. Meredith Heil is a staff writer for Thrillist. Told you she ain't worried, she ain't scared of the booth -- all you can do is spit a verse of the truth, merge the mixture with the purest and the fruits. And the thirst, just the worst, it's the curse of the juice! Find fresh-squeezed tweets @mereditto.